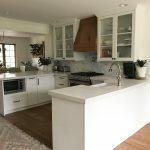 Forget about those bulky wall units from the past where there were tons of shelves and lots of molding pieces that just didn’t provide the kind of storage you needed for your electronics. 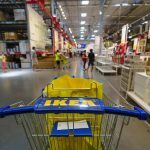 Why not building one of your own with inexpensive IKEA kitchen cabinets? 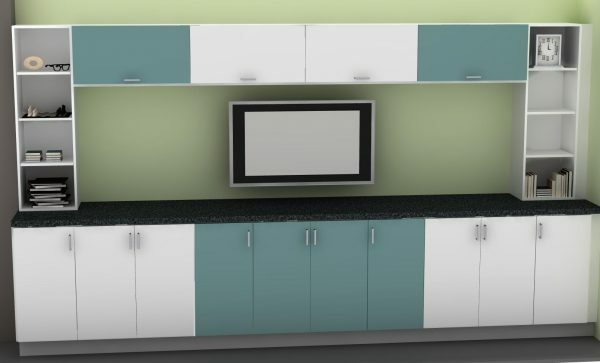 To achieve this two-toned look, we used APLAD cabinets in white and turquoise.